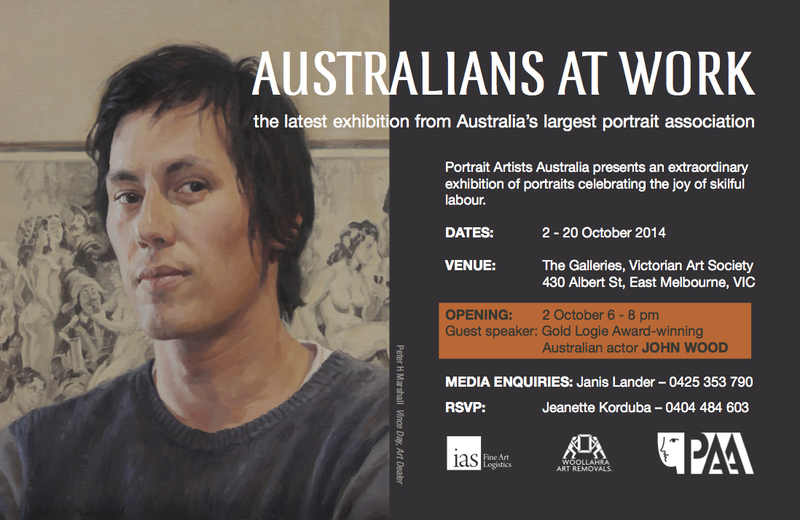 Portrait Artists Australia presents an extraordinary exhibition of portraits celebrating the joy of skilful labour. Venue: The Galleries, Victorian Art Society 430 Albert Street, East Melbourne 3002. Opening: 2nd October 6-8 pm. This entry was posted in Exhibition Invitations. Bookmark the permalink.